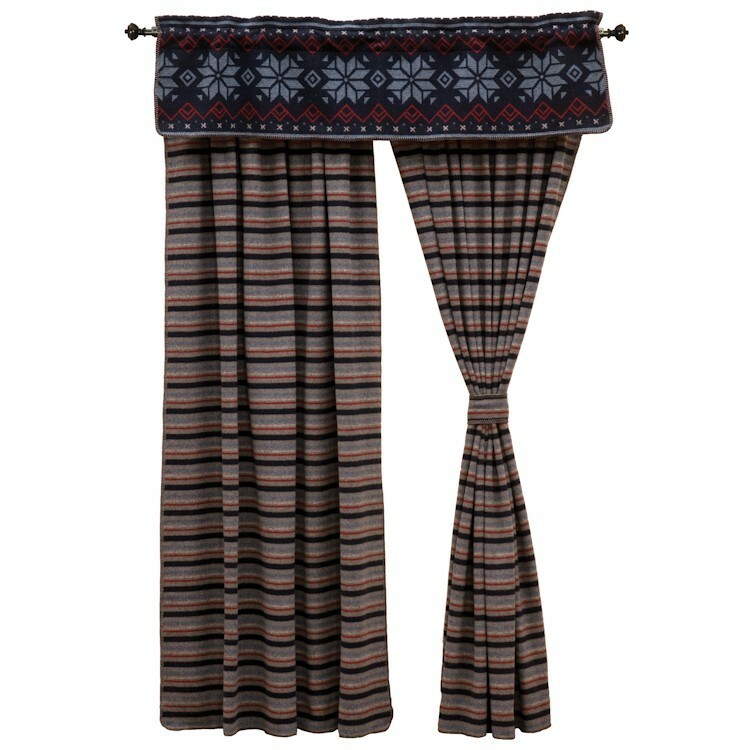 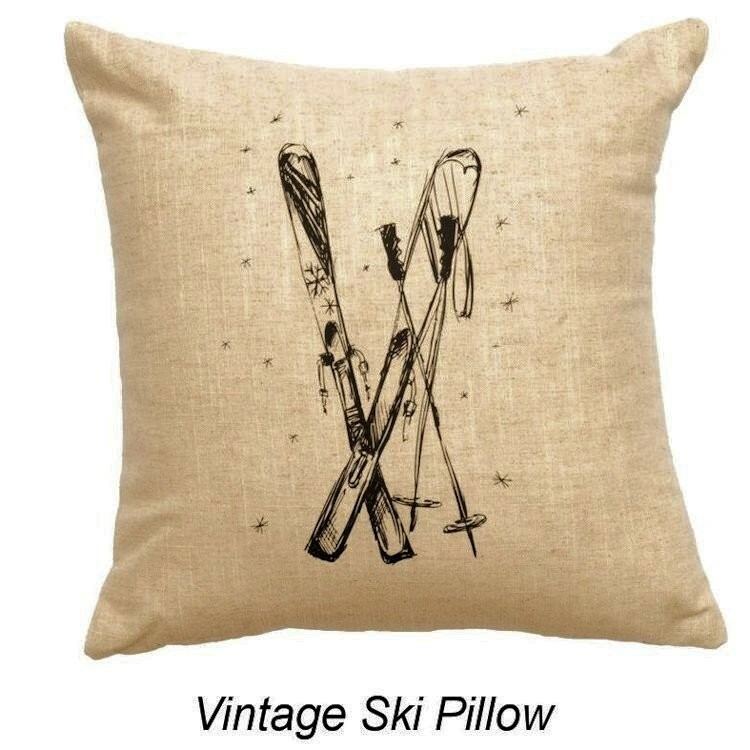 The Nordic Coverlet Sets reflect a vintage ski lodge theme. 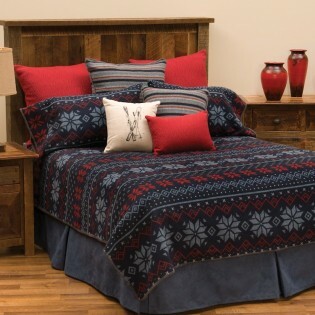 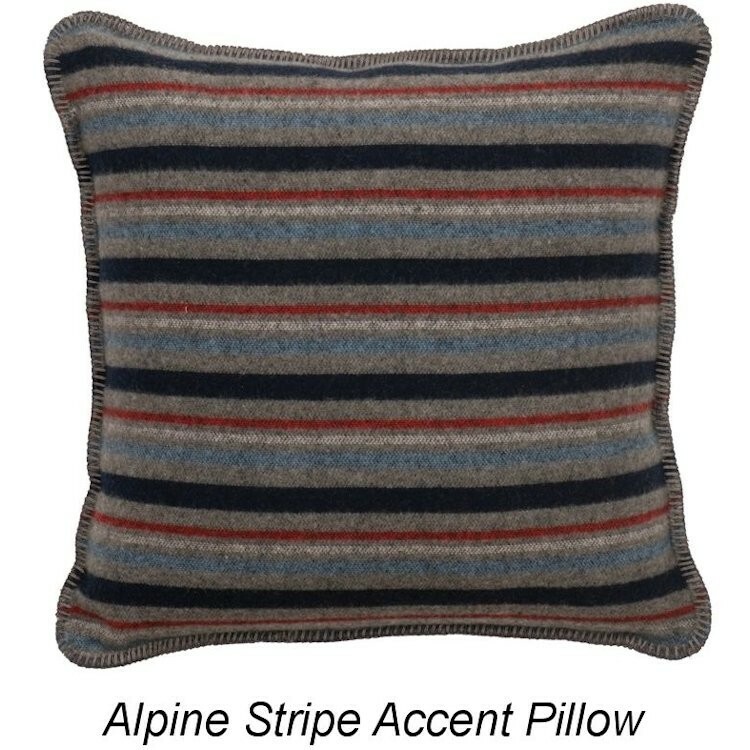 A dark denim blue background plays host to a pale blue, red and white design with an Alpine feel on the coverlet accented with decorative button hole stitch edging. The pillow case style shams are created from the same fabric as the coverlet and the tailored bedskirt is a soft denim blue micro fiber suede. 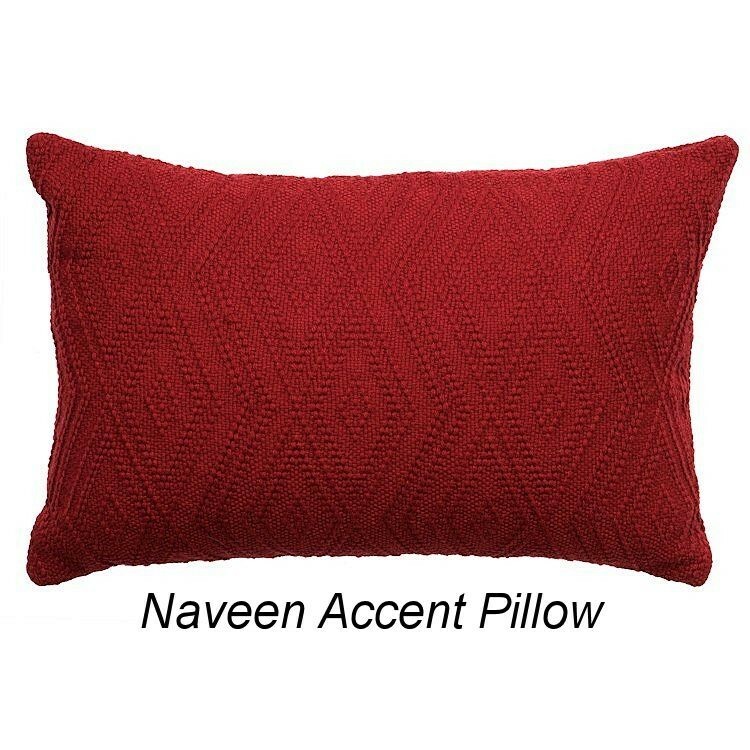 The deluxe sets offer the added luxury of three euro shams (two are a dark red with a woven diamond design and the third is a simple stripe that picks up the colors of the coverlet).